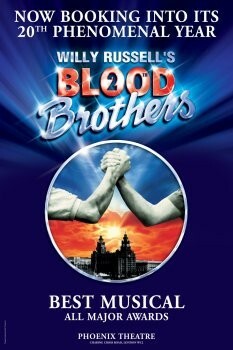 Blood brothers is a west-end musical about two twin brothers seperated at birth. They find each other and become best friends, not realizing that they are twins. They both fall in love with the same girl, Linda. They fall out and this leads to their tragic deaths. What themes are included in the plot? There is a love triangle, nature vs nurture, fate/destiny, social class, the individual and society, friendship, brotherhood, education (linked to social class), men and women, money. 'I heard Blood Brothers is coming to an end after 24 years! I've never seen it yet friends who have say it's really good. I treated myself on Thursday 8 Nov 2012 and traveled from Liverpool to the Phoenix Theatre in the west end to see it, and it was well worth it! The story was very good and the actors did it justice. Many times I had tears in my eyes. During the quiet emotional moments, even the majority of the audience, who seemed to be English Lit students, were completely silent. 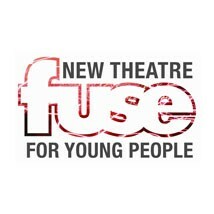 If you haven't seen this and would like a good show to see, you have to catch it before it ends. Unlike many shows where each song is followed by applause, this runs almost all the way through without that, with only a couple of exceptions were applause comes naturally - as does laughter.